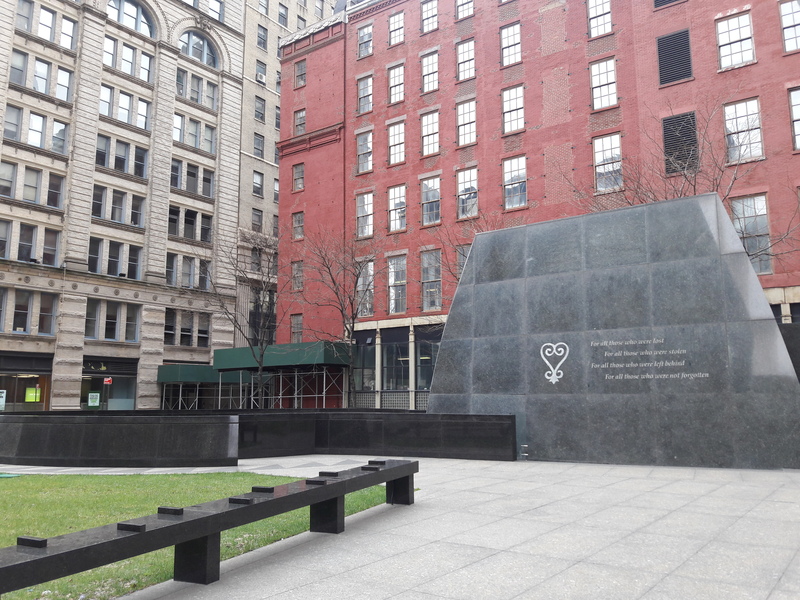 North of City Hall and the World Trade Center Memorial is a spot much less frequently visited: The African Burial Grounds National Monument. 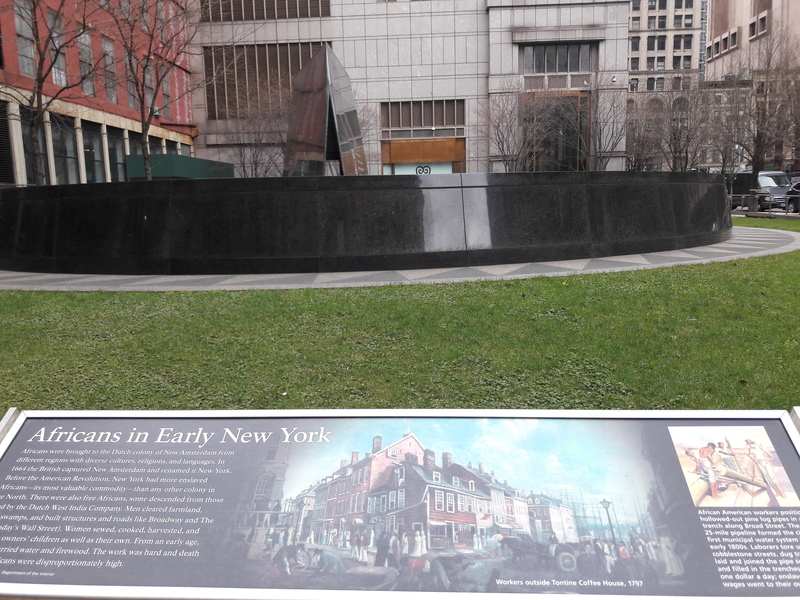 Africans – enslaved and “free” – were buried here, outside the boundaries of what was then called New Amsterdam in 1690-1794. The grounds were rediscovered in 1991 during the planned construction of a Federal office building. It’s as good a place as the 9/11 Memorial – and far fewer people.